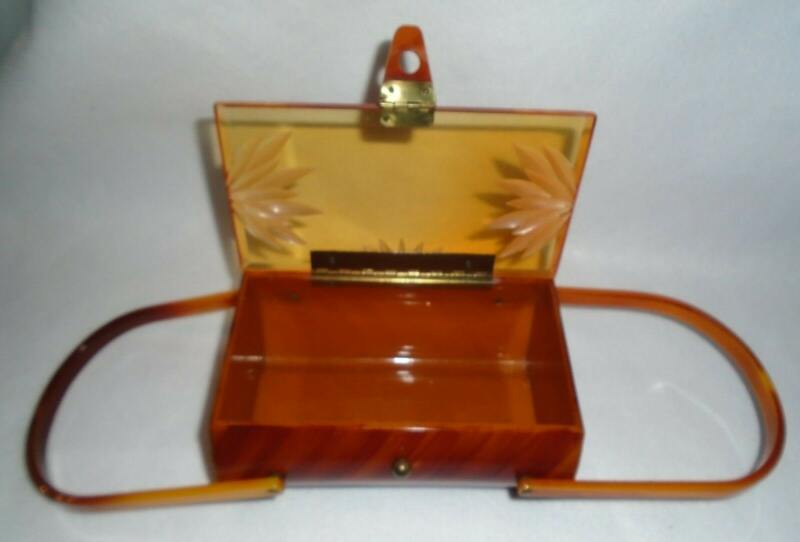 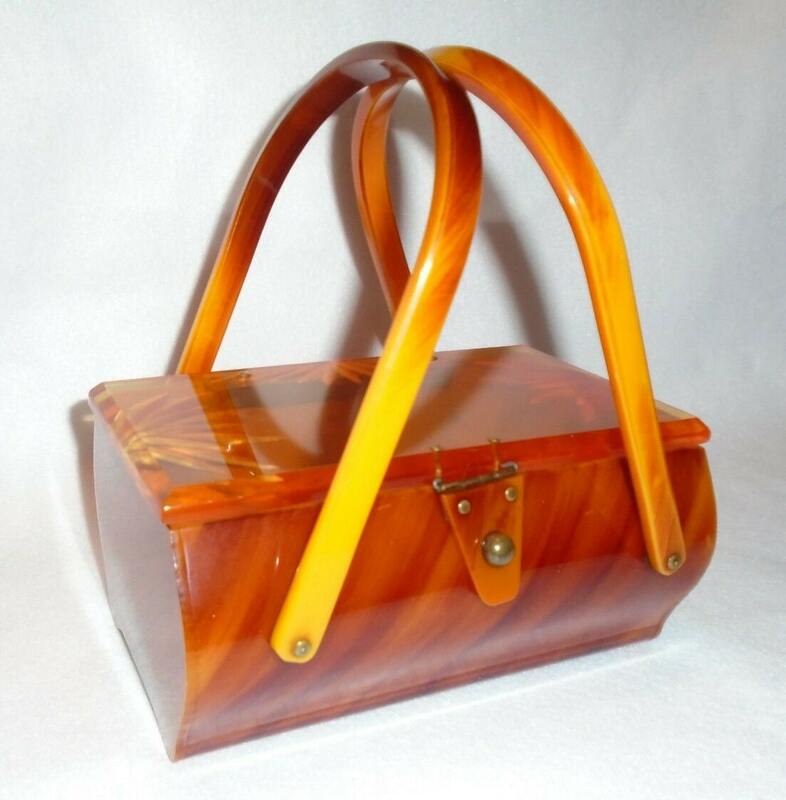 Sweet Lucite box bag from the 50's in tones of butterscotch, amber, and yellow. 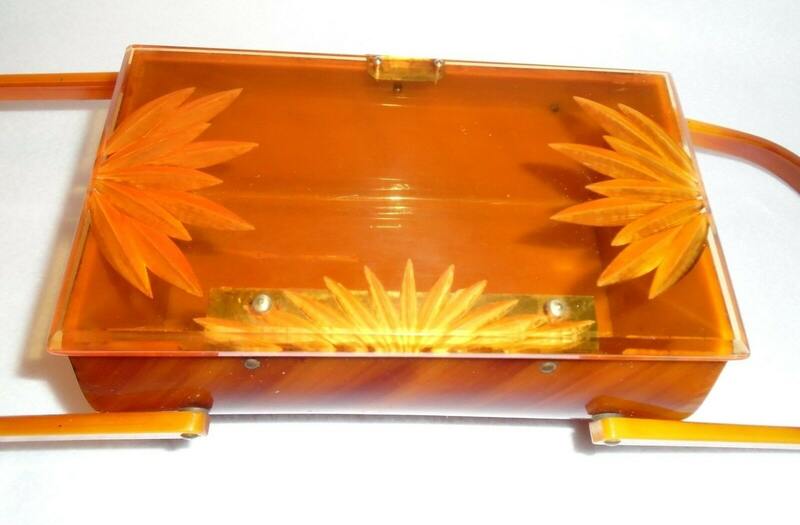 Etch floral Lucite top. 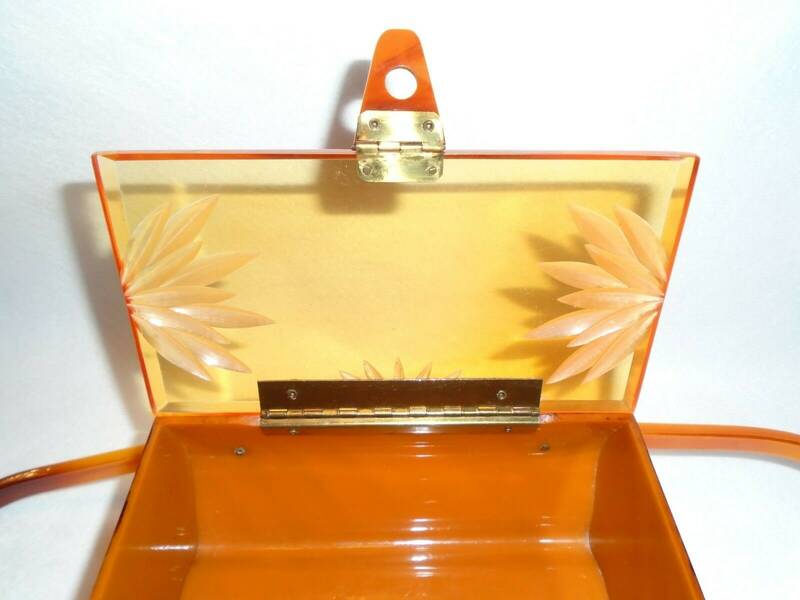 Lucite handles with a 4.5 inch drop. 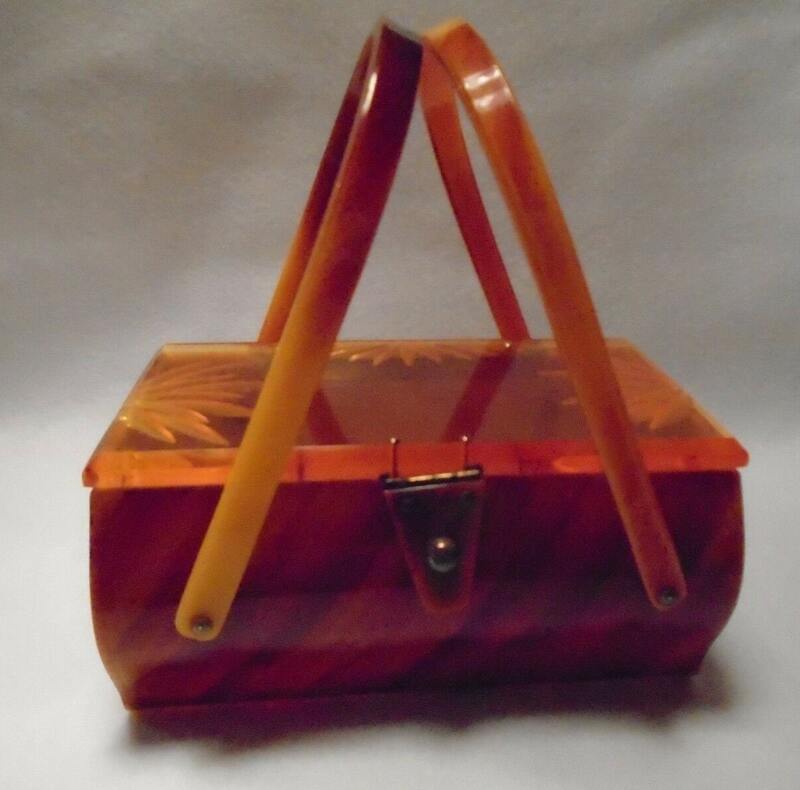 Hinged top with Lucite flap closure. 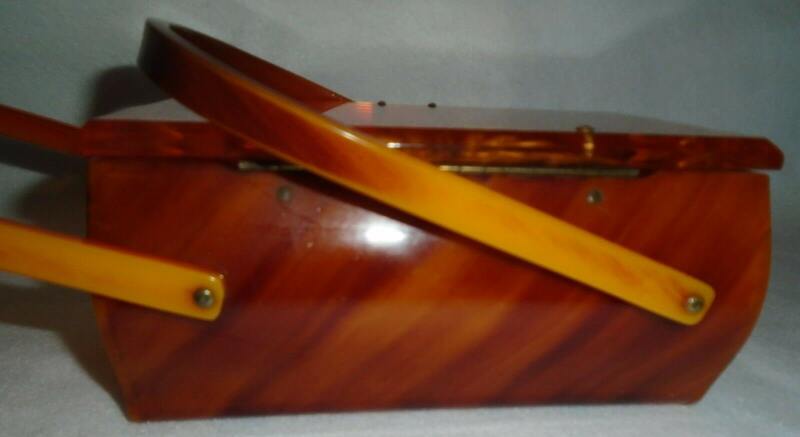 Wonderful condition. 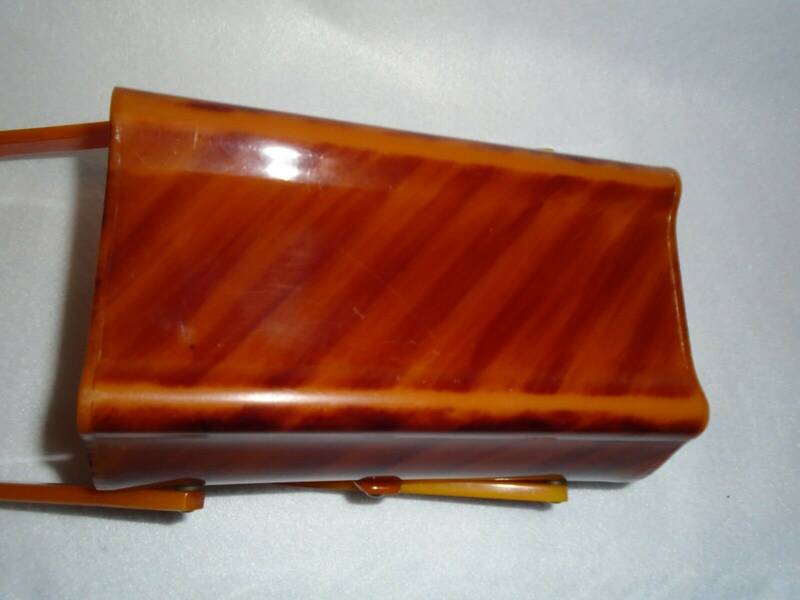 Dimensions: 7 inches long x 4 inches tall x 3 inches wide.